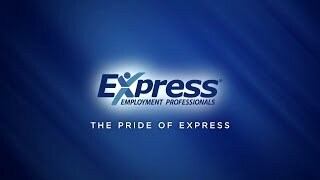 Welcome to Express Employment Professionals of the Emerald Coast, your number one source for all things job related. We're dedicated to providing you the very best of Staffing and any other career information you may need! Founded in 2017 by Owen & Katie Thompson, this office has come a long way from its beginnings in an empty office. When Owen & Katie first started out, their passion for getting a million people to work drove them to quit their day jobs and trade them in for much longer hours. It also gave them the impetus to turn hard work and inspiration into to a career hub for job seekers, and businesses alike. We now serve customers all over Okaloosa, Walton, and Bay County, and are thrilled to be a leader in staffing across Florida's Emerald Coast. We hope we can provide you with the same level of excellence you have come to expect from the Express Employment Professionals name. If you have any questions or comments, please don't hesitate to contact us. The Express office on Florida’s Emerald Coast has a variety of jobs available, with full-time, part-time, and temporary positions available. And, as one of the leading staffing agencies in North America, Express provides employment services and workforce solutions to employers throughout our community. Contact us today to get started on finding the right fit for you. The areas we service are: Crestview, Fort Walton Beach, Destin, DeFuniak Springs, Freeport, Niceville, Miramar Beach, Santa Rosa Beach, Baker, Holt, Mary Esther, Shalimar, & Panama City. The counties we service are Okaloosa County, Walton County, & Bay County.